This week’s Heavy Music HQ reviews include releases from Atreyu, Chthonic, Deadbird, DungeonHammer, Gama Bomb, Helsott, High On Fire, Nazareth, The Odious Construct, Outer Heaven, Set And Setting, Seventh Wonder, Skalmold and Terrorizer. 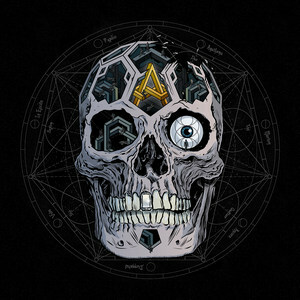 For their seventh album In Our Wake, metalcore veterans Atreyu reunited with producer John Feldmann, who they worked with on 2007’s Lead Sails Paper Anchor, their most successful release. The result is an album packed with accessible and melodic songs like the memorable “House Of Gold,” the rousing “The Time Is Now” and the electronic tinged ballad “Terrified.” It’s a diverse effort with minimal filler, each of the dozen tracks leaving a notable impression. The album closes on a strong note with “Super Hero,” featuring guest appearances from Avenged Sevenfold’s M. Shadows and Underoath’s Aaron Gillespie, a cinematic track with hit potential. 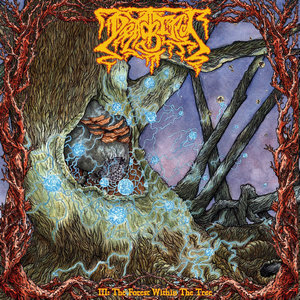 Arkansas doom dealers Deadbird have returned from a long hiatus to release their third album III: Forest Within The Tree. In the time that they were silent another band from Arkansas, namely Pallbearer, has garnered all of the major attention from the area. this disc even features some former members of said band. All that aside, Deadbird really convey emotion well in their doomy dirges going from that to a funeral procession and then touching on the sludge vein a la Neurosis, Deadbird are not new to the scene and their experience on tracks like “Luciferous Heart” and “Heyday” showcase their range, even drawing comparisons to recent breakouts Spirit Adrift with their ability to add melody within the melancholy. If you missed these guys 10 years ago, there is no better time to get acquainted with them. The acoustics are a great touch, though the song’s placement in the middle of the album is questionable (would’ve worked better as a closer). The album’s ordering of the tracks is a sore spot, with the top half being loaded with the best material. 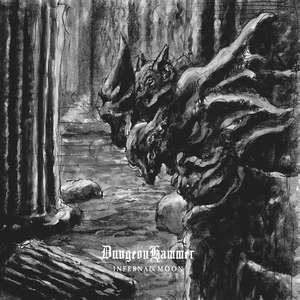 The reliance on songs over five minutes (four of the eight songs land in this category) is one of a few creative decisions that puts a damper on DungeonHammer’s intriguing first album. Gama Bomb emerged along with a large crop of other bands when the re-thrash movement was popular in the mid-2000s. 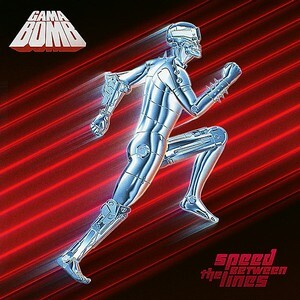 But unlike many bands from that era that quickly faded into obscurity, Gama Bomb have showed staying power. Speed Between The Lines is their sixth full-length. One of the main reasons for their success is the potent vocals of Philly Byrne. He suffered a vocal injury a few years ago and underwent surgery and extensive rehab, and on Speed Between The Lines sounds as good as ever, with a much wider range than the typical thrash vocalist. The band’s dual guitar attack fires on all cylinders, with nonstop galloping riffs and blazing solos on tracks like “Kurt Russell,” an homage to the actor. 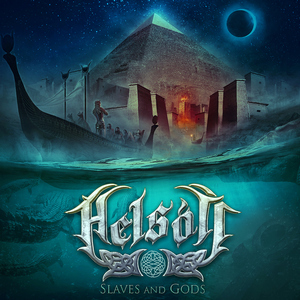 Their brand of pagan/folk metal has a European flavor, but Helsott hail from California. After an EP last year, they are back with Slaves And Gods, their second full-length. The album includes numerous guest musicians, ranging from vocalists Masha Scream (Arkona), Damna (Elvenking) and Trollmannen (Trollfest) to guitarist Kevin Storm (Heidevolk) and several others. That makes for a diverse album, but they are able to keep it cohesive. Slower, regal tracks like “The Coward’s Curse” and the mellow “Eye Of The Past” blend smoothly with more ominous songs such as “Winter Smells Like Death. They also cover Tom Petty’s “Runnin’ Down A Dream,” giving it the pagan/folk metal treatment with harsh vocals and violins. To Lemmy with love. Oakland’s buzz arsonists High on Fire send a farewell note to Mr. Kilmister, anointing him Electric Messiah. 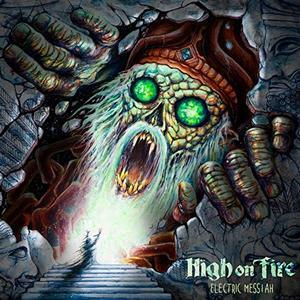 In the tent-pole song “Electric Messiah,” pseudo-soundalike Matt Pike leads his trio through one of HOF’s finest single since “Frosthammer.” Electric Messiah is a solid addition to the HOF canon. 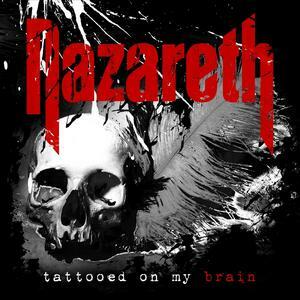 Nazareth’s twenty-fourth studio album Tattooed On My Brain is a disappointment. New singer Carl Sentence seems bent on showing off how high he can go as opposed to fronting this classic band. Moreover, the songwriting is pedestrian, at times sounding so much like other bands that it seems they are joking (“State of Emergency” like AC/DC, “Pole to Pole” like Huey Lewis, and “Push Master” like Cinderella). On similar grounds, the vocal line often copies the riff as if in “quick-fix” and the monotonous guitar solos make it seem like Jimmy Murrison is practicing a trick he simply moves up the fretboard. One might wonder who the audience is for this record. As a sort of overall symbol, the title track is so annoying that the listener actually craves to hear the old new wave pop-crap they are so poorly imitating. Again, it seems as if they are joking. By releasing two demos and one EP, you may think Sacramento, California’s quintet The Odious Construct haven’t reached the point in their career to record their first ever full-length album. However, with a deep look at their first self-titled EP and the newly released second EP Shrine of the Obscene you can clearly hear how The Odious Construct are trying to build their musical stronghold brick by brick, briefly, slowly but wisely. 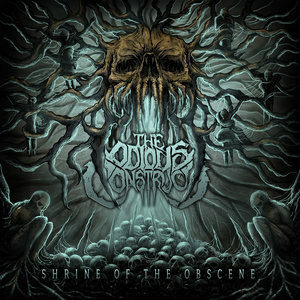 Shrine of the Obscene is less than 20 minutes but this EP’s multi dimensional, well constructed musical layers have created an impressive depth and atmospheres, which have let brutality and melodies meet each other and have painted them with various symphonic undertones to make everything about their music sound relentless and epic. Shrine of the Obscene perfectly displays how The Odious Construct’s phenomenal musicianship and exquisite production completes the face of the debut self-titled EP, and it opens the band’s future to brighter horizons. Outer Heaven put out a compelling EP Diabolus Vobiscum in 2015, that highlighted an agonizing form of death metal. It took three years to see the fruition of that with a full-length album, which is where Realms Of Eternal Decay comes in. Their EP had doom-ridden mechanics added to their battering speed, but that’s lessened on their first album, where groove takes over whenever the tempo is slowed. These five musicians in Outer Heaven have studied the genre’s roots well, utilizing influences of the past to envision what the future of the genre could be. The frills are limited, with few flashy solos (save for “Pulsating Swarm”) or technical marvels. Realms Of Eternal Decay is a riffs album, where all the best bits are readily available. For their fourth album, Tabula Rasa, Set And Setting go in a punchier route with their gruff instrumental music. 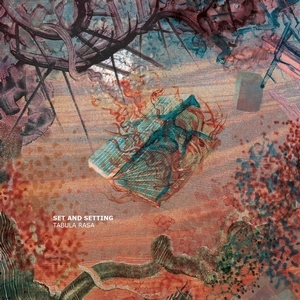 The extremity of the pacing of a song like “Desolate Waves Confine…” would not have been present years ago, as the four piece allow darker influences to perpetrate their nimble style. This mean streak gives the album a maniacal edge compensated by compact songwriting with less emphasis on bulky lengths. Though Tabula Rasa could definitely be labeled their heaviest album to date, their ability to craft lovely melodies has not fallen by the wayside. The soothing “Elucidation” acts as a counterbalance to the immenseness of “Desolate Waves Confine…” and the bass leads on “Circuital Tension Among…” are a cleansing break halfway through the album. With Tabula Rasa, Set And Setting are not willing to fall back only on their past sounds. It has been eight years since the last Seventh Wonder album. In 2012, the Swedish progressive/power metal band’s frontman Tommy Karevik joined Kamelot, and has been busy with that group. 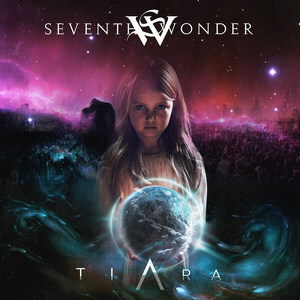 But Seventh Wonder finally was able to put together their fifth full-length, Tiara. It’s a lengthy album, clocking in at 70 minutes. They shift between epic tracks like “Against The Grain” and the three part “Farewell” to more streamlined songs such as “The Truth” and “By The Light Of The Funeral Pyres.” There are soaring melodies and singalong choruses along with progressive sections and potent vocals from Karevik. It’s a compelling combination of melody and creativity that manages to keep self-indulgence and cheesiness to a minimum. 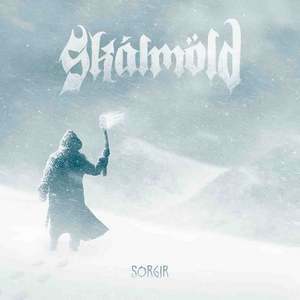 The Icelandic Viking/folk metal horde Skalmold are back with Sorgir, which translates to “Sorrow.” Even with that title, this is not a downbeat or morose album. “Lsojid” fires out of the gate with biting riffs and combination of harsh and melodic vocals. Tracks like “Sverdid” and “Barnid” are moderately paced with catchy grooves, while Skalmold amp up the tempo on songs such as “Brunin.” Though some of the songs take a while to develop, patience is rewarded in the end. The album closes with the eight plus minute “Mara,” with an engaging beginning, a bit of a lull in the middle and an impressive display of guitar work. 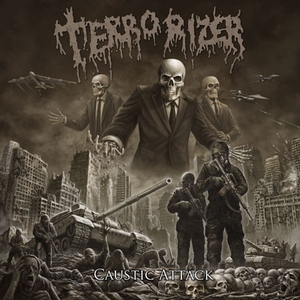 Seminal grindcore outfit Terrorizer are back with their fourth proper full length and first in six years. Pete Sandoval’s drums are what hold together these legends today as it has been a long time since their other lynchpin Jesse Pintado left this mortal coil back in 2006. Two albums after that we have Caustic Attack; a testament to Sandoval’s legendary drumming technique, and grindcore of yore. Plenty of death metal goes into this disc with sounds of Morbid Angel being channeled through the father of blast beats’ own past. 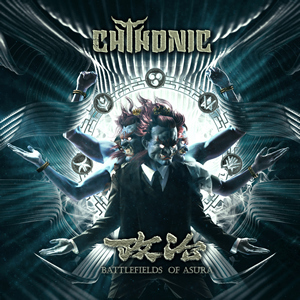 For a dip into the past of the genre, Caustic Attack shows that a well renowned band can still get it but maybe not for an entire album, especially with all the innovations that grindcore has seen in recent years. For old school grind freaks only.